�Choosing a college / university�programme Once you've decided you want to go to college or university, your decisions have just begun. Once you've decided you want to go to college or university, your decisions have just begun. Choosing a program is the next big step and it can take some time. You'll probably need to do some research and gather information to help you make your decision. It's time well spent. The work you do now will help you make some good choices right from the beginning. Start by trying to identify what interests you. Were there particular subject areas in high school that you really enjoyed? Do you have a hobby that you love that could lead to a career? Have you heard about jobs that sound interesting to you? Find out what courses or programs are available in that area, and what career options are possible. Many university and colleges also have learning/study skills centres that can help you assess where your interests and talents lie. Think about whether you want to do a program that is more general or one that is focused on a particular occupation. In general, universities tend to offer programs that provide a broad education (e.g., Bachelor of Arts or Bachelor of Science degree) or that provide specific professional training (e.g., Bachelor of Business or Bachelor of Journalism degree). 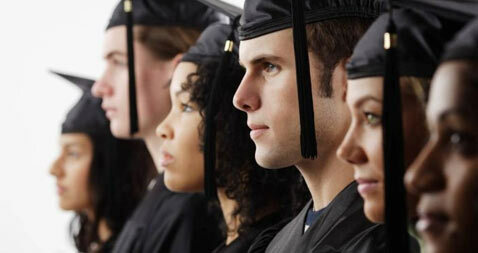 Undergraduate degrees take three to five years to complete (attending full-time). University courses usually require more written work, research skills and the ability to reason and deal with abstract concepts. Community colleges tend to offer programs that provide training related to specific occupations (e.g., Diploma in Graphic Design, Diploma in Dental Hygiene, Chef Training Certificate). Certificates and diplomas usually take one to two years (attending full-time) to complete. If you're not sure about your direction, you may want to choose a program that offers a range of subject choices and career options. This might help you learn where your interests lie. The downside is that you may end up changing programs further along, which can add time and expense to your education. Most college and university websites have program descriptions and detailed online course calendars. Talk to other students about their programs. Talk to people doing the type of work that interests you. Contact professional organizations or check out their websites. Sometimes professional bodies regulate who can work in that field and have specific educational requirements. Compare the same program at different institutions. Remember there can be differences between one institution and another. Course offerings and requirements can be quite different. Organize a work or volunteer placement / internship. There's no better way to decide if a career is right for you than to have some hands-on experience. As you gather information, pay attention to the admission requirements for the college/university and program you are considering. There will likely be a requirement for a high school certifacate grade or the completion of a specific grade level, and a certain grade point average. Some programs may also have requirements for certain work experience, portfolios of work you have done, etc. Some schools will make exceptions in certain situations. For example, requirements may be waived if you left school several years ago or have a certain amount of work experience. However, you may be asked to write a test as part of the application process. You may want to consider upgrading your skills before applying to college or university. Many school boards offer adult education programs that include skills upgrading courses. Many colleges and universities also offer skills upgrading courses to students who are thinking about applying for admission. These non-credit courses can be especially helpful if you have been out of school for some time and need to refresh your skills. It's important to remember that you don't have to attend school full time. More and more students are choosing to go to school part-time for a variety of reasons - family commitments, financial reasons or simply because they aren't interested in full-time studies. You'll need to give serious consideration to whether you want, or are able, to study full-time or part-time. Many students, especially those returning after several years out of school, find that part-time studies are preferable. The amount of studying, assignments and tests required for a full-time course load can put a lot of stress on your physical and mental health. Choosing a realistic course load can make all the difference to your chances of academic success and your ability to stay mentally healthy. If you do choose to study part-time and are planning to apply for student financial aid, you will need to be clear on how your part-time status can affect your funding. As you choose your program, you also need to consider whether you will learn best in a traditional classroom setting or whether you would prefer to do courses by distance education. Distance education can take several forms, but usually involves the use of the internet either alone or combined with special software, and audio conferencing, where students and teacher take part in a single phone call. However, this kind of learning isn't right for everyone. The lack of structure means you need a lot of self discipline. You also lose the opportunity to connect with other students and the support networks available on campus. Finding the course or program that meets your educational needs should be your first priority. If you have several colleges or universities to choose from, then you may also want to consider some other factors when making your decision. Staying home vs. going away. If your finances allow it, you may have the option of moving away from home to go to college or university. Living away from home brings its own challenges and stresses. You are leaving the familiar for the unknown. You will likely be leaving your family and friends who may be an important support network for you. On the other hand, leaving home may provide you with a new perspective. And if your home environment contributes to your stress (adversely affecting your mental health), leaving home may be of benefit. If you are going away, you will need to consider whether you want to live in residence, share an apartment or living space, or find a place on your own. Residence living is not for everyone. It can help you make social connections, but there is also the stress of living with a large number of people with diverse personalities. You may have to share a room, although it may be possible to arrange for a private room if you are willing to disclose your disability. Noise and late night parties can get in the way of studying and sleep, especially in undergraduate residences. Some colleges and universities may have specified "quiet dorms" - an option worth checking out. On the other hand, most residences are directly on campus, which provides you with easy access to the library, computer lab, athletic centre and other campus resources. Eliminating travel may eliminate stress, and make it easier for you to get to classes, especially early morning classes. If you would prefer to share an apartment or find a boarding arrangement, student housing services may be able to help. Large institution vs. small institution. The size of a college or university may also be a consideration for you. A large institution can be overwhelming for some people - the size of the campus, the number of students and the large classes. On the other hand, some students find the anonymity of a large institution very comforting; it can be easy to blend in and be "one of the crowd."